People usually love changes and hate changes at the same time. We want our life change better and more wonderful but lack of courage to change. Today we have collected 25 best positive quotes about change to show you that changes are not that terrible, because they give us an opportunity to reflect our past and struggle to become better. And besides courage, in order to change better, we should change ourselves first. May you start to change now! Positive change never comes alone. In order to change your future, you must let your past go. The only person who may prevent you from changes is you. In order to change your life, you should change your routines. Changing yourself, don’t forget to be flexible. Your life may get better because of changes. Positive changes require positive surroundings. In order to change your life, you should change yourself first. Never lose our hope for better changes. Change the way of your thoughts on things. It is not necessary to wait for appropriate time to change your life. Fight against your fears about changes. Sometimes you need to fall first in order to get higher. Positive thinking is a key to all changes. Your day is all up to you. If you don’t know what to change first, listen to your body and soul. You can’t change your life for better by ignoring other people’s needs. You may lose something on the way to your changes, but you will gain a lot more. Challenges help us to change faster. In reality, bad things are great motivation to lead you to change. Choose to change your life for better. 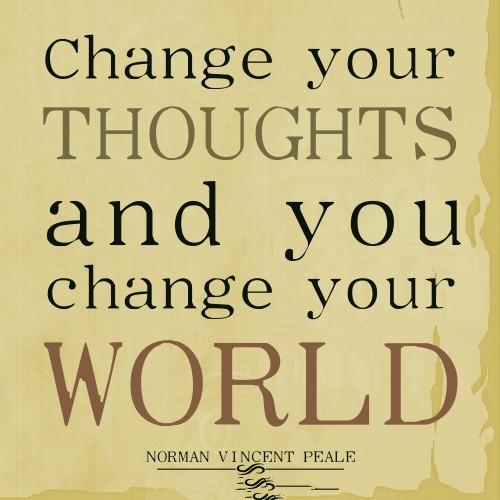 Another one from our list of positive quotes about change tells us: firstly we should change our thoughts. Allow yourself to change your life.